In November, The Washington Post reported  multiple women’s accounts of experiencing inappropriate conduct from Moore when they were in their teens, including one account of Moore pursuing a 14-year old girl. A few days later, another woman reported  that Moore sexually assaulted her when she was a teenager. In response, Moore largely avoided granting interviews to media, with the exception  of a few friendly outlets such as Breitbart and One American News Network. To counteract these reports, right-wing outlets began leveraging  what they claimed were Jones’ “extreme” views on abortion access against allegations of wrongdoing against Moore. In reality, as Jones has explained , he supports upholding current Alabama law , which allows patients to seek an abortion up to 20 weeks of pregnancy with limited exceptions for “medical necessity” beyond that point. During a September 27 interview with MSNBC’s Chuck Todd, Jones stated  that he was “a firm believer that a woman should have the freedom to choose what happens to her own body.” Despite this, many outlets not only adopted right-wing media’s inaccurate spin that Jones’ stance was “extreme,” but also went on to claim that Jones’ support for abortion access would ultimately cost him the election. This is far from the first time that media have gotten carried away with the argument that support for abortion access costs votes or elections for Democratic or progressive candidates. In early 2017, The New York Times published  an op-ed titled, “To Win Again, Democrats Must Stop Being the Abortion Party” -- kicking off wave of responses rebutting  the false dichotomy  that Democrats must  sacrifice  reproductive rights to win voters. 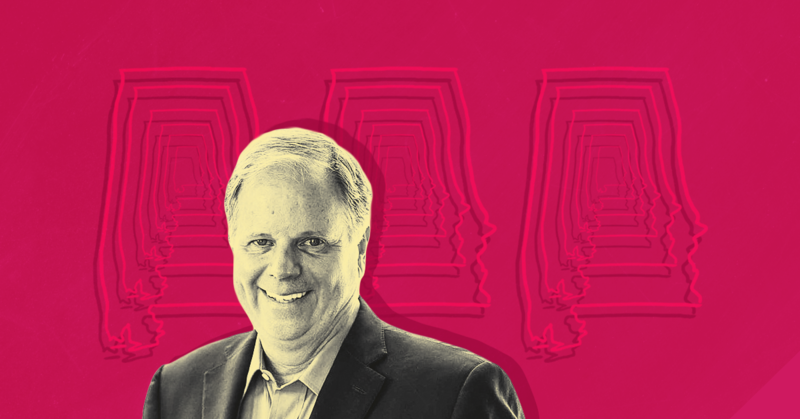 As HuffPost reported  on December 4, however, there was ample reason to believe that Jones’ support for abortion access wouldn’t be a hindrance. According to polling performed by Clarity Campaign Labs, “Abortion wasn’t really in the top couple issue” when likely Republican voters explained why they wouldn’t support Jones over Moore.